Vintage hairstyles are the ones that come into fashion from time to time and bring new ideas from the past to the future. Many well known celebrities often choose retro hairstyles like Taylor Swift, the others only sometimes have the looks from past, but be sure that each retro look is modern when you have some new modern touches. Among hair trends 2015 vintage styles stand alone and show off unique style and even character. 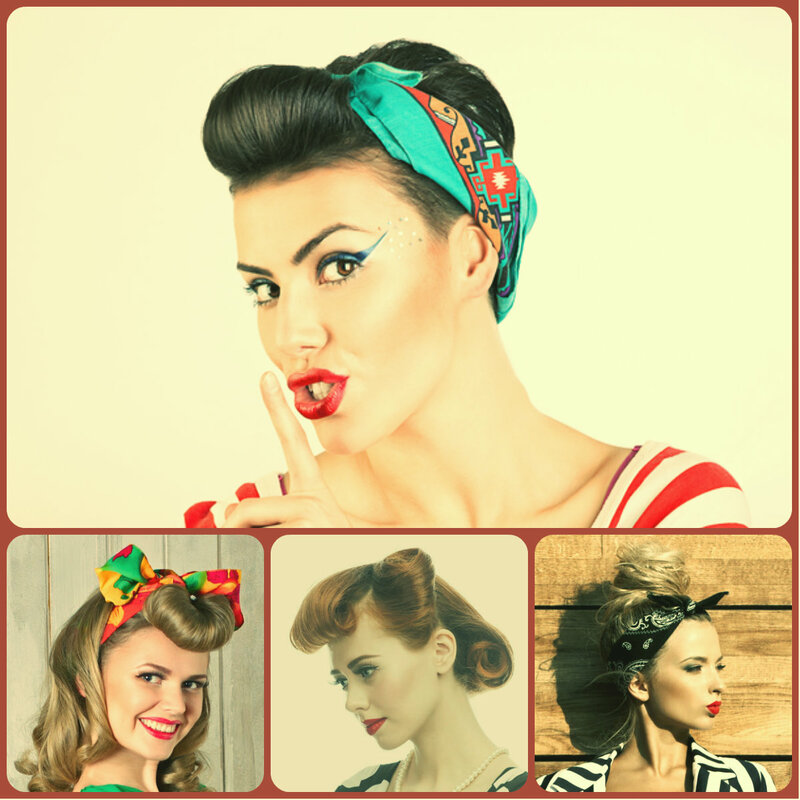 If we consider popular retro hairstyles with bandanas we will see that they are funky and youthful. 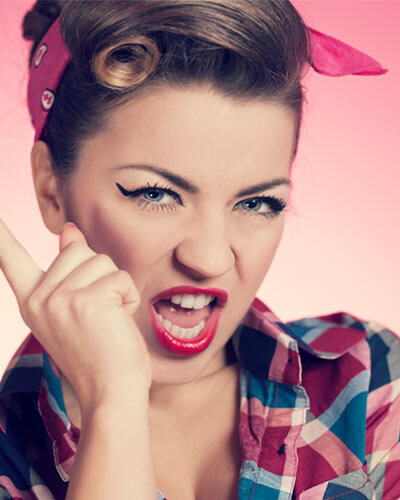 And if speak about vintage curls and waves, we will refer to elegant and very feminine style. 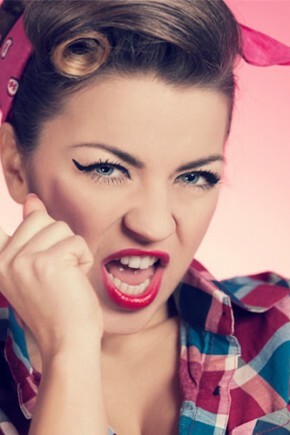 So it all depends on the looks you want to create, whether it is flirty and playful with rolled bangs, or colorful bandanas, or you want to have short haircuts with quiff, or the aristocratic vintage waves. To get convinced that vintage hairstyles are up-to-date and quite stylish, let's go through my gallery right now. 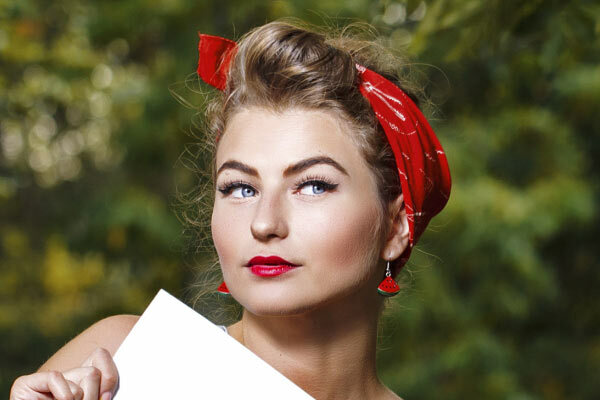 Updo hairstyles with a bandana look very Hollywood of the past decades.You can try to have this style not only to create a funky and joyful looks, but you can also choose some more elegant bandanas and get official appearance for more serious events. Here is the most elegant loose hairstyle ever - vintage wavy hairstyles. For girls with long hair this can be considered one of the most impressive loose hairstyles. 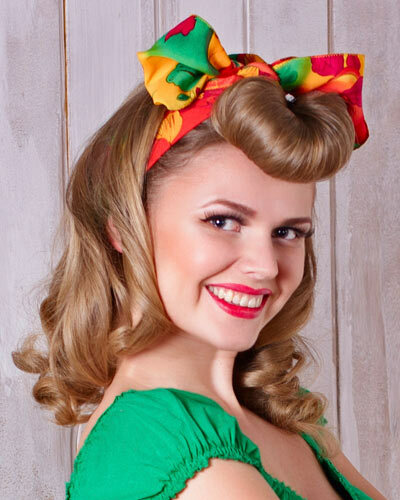 Retro curly hairstyles are indeed very elegant. Just take into account that in order to have vintage looks you better sweep hair to one side and have the curls and waves at the ends only leaving the roots straight and sleek. 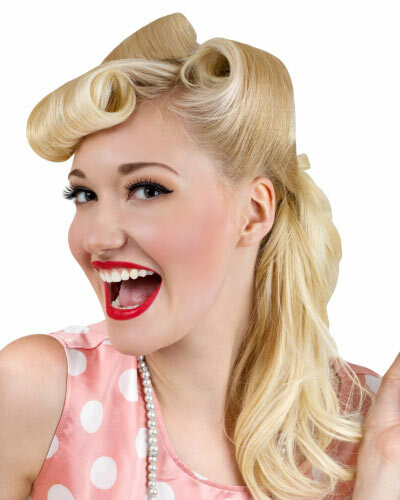 Another typically vintage hairstyle is the classy rolled hairstyle with rolled bangs and rolled sides. These hairstyles are very cute but they require appropriate outfit as well. Bright colors and the mixture of them is the characteristic feature of retro style. Yet there is another thing that has entered into fashion recently and now leads the make-up tendencies - it is the bright red lipstick that has originated form retro styles. Though mostly retro designs are about long hairstyles, we can't miss short quiff hairstyles that were once extremely popular and now also come back with modern tricks and stylish looks.